Crestmoor has entered a team into the 2017 Red Bull Soapbox Race! Local family-run company Crestmoor has successfully entered a team into the 2017 Red Bull Soapbox Race that takes place on Sunday 9th July. Getting accepted was no small feat. This year 4000 applications were received, with only 70 places available. For Kenny and his team from Crestmoor to have had their application accepted is quite an achievement, and cause for celebration even if they don't win the race on the day. The seventy successful applicants were chosen on Easter Monday. The word “soapbox” probably evokes fond memories for many who experienced life before computers took over. In those days we had to use that rare faculty, imagination, to create our own fun, mainly outside in the fresh air. We searched for boxes, pram wheels, bits and pieces to build our very own soapboxes, then had hours of fun racing them down hills, with varying degrees of success. 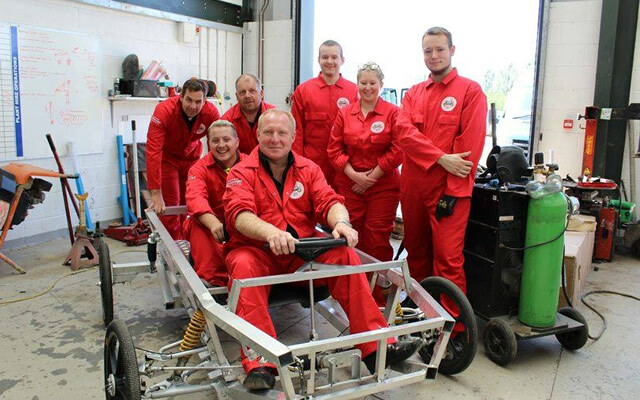 Kenny and his team are taking soapbox racing to a new level. 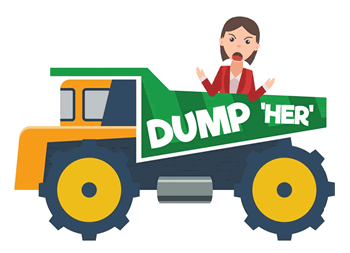 They have created their own design and work hard in their spare time to realise their very own state-of-the-art dump truck soapbox. Very appropriate given their construction and plant hire business. They are taking this project very seriously, in a crazy sort of way. The race is an international event with amateur drivers from all over the world designing and racing their own hand-built machines. Red Bull has run more than 100 soapbox races worldwide since their first event in Brussels in 2000. On the day of the race it all comes down to the driver and crew. 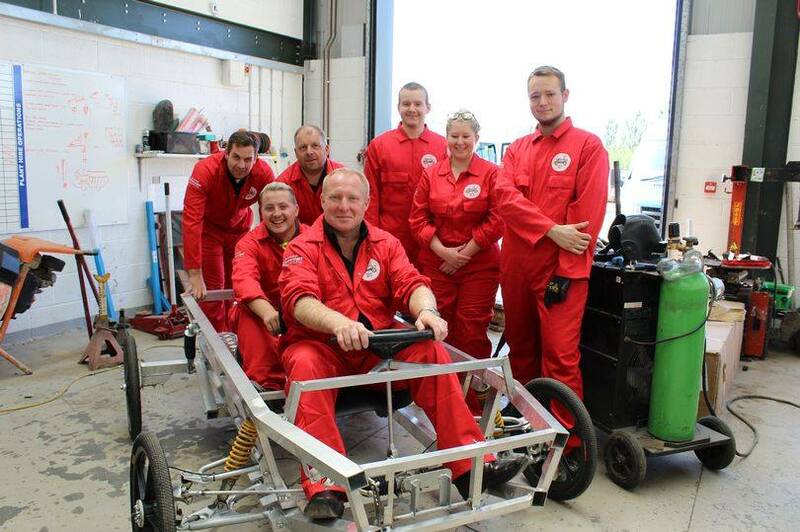 The Crestmoor soapbox, ‘Dump Her’, will be piloted by Kenny Higgins and his co-pilot, Zak Westell. The successful entries will be judged on their speed, creativity, and showmanship. Soapbox designs have ranged from sublime, aerodynamic, super-fast and efficient, to downright ridiculous, including a replica piano, a giant baby carriage, a rodeo clown, a giant corn on the cob, a jail cell, and a replica of the Golden Gate Bridge. The only restriction on the design is that they cannot weigh more than 80kg. Many examples can be seen on the Red Bull Soapbox Race website. As well as having a chance to win the actual race, Kenny and the team also have a chance to win the ‘People’s Choice Award’, given to the audience's favorite team. Obviously success here is beyond their control. In fact it's down to the rest of us! They need votes, so click here and do it now! The race is so popular that tickets for the event are already sold out. If you missed out and would still like to see the race, fret not, you can watch it on the Dave channel on Sunday 9th July at 5pm.